Keep it FUN for the girls and for YOU. If it isn't fun for you, it won't be fun for them! Be gracious and generous to ALL the girls in your Troop and to their parents, even the parents who are difficult. Give every girl a ROLE in the Troop, and a VOICE IN THE CHOICE. Let GIRLS LEAD at levels that are age and developmentally appropriate. If YOUR DAUGHTER is in your Troop, help her to be part of the Troop, not your special helper. Never a Girl Scout, but Girl Scout Intern, YES! My summer experience as an intern for Girl Scouts of Nassau County. Although I wasn’t a Girl Scout growing up, I was given the chance to be an intern in the Human Resource department at Girl Scouts of Nassau County allowing me to earn college credit towards my BA in Communications from Molloy College. I was overjoyed to not only learn more about my field of study in a professional setting, but to also acquire knowledge about an organization I had not been involved in when I was younger. As a student that had never experienced an internship, taking the step to apply for one, exposing me to a real world experience in my field of study, Communications, was a new challenge I was both nervous and excited to take. When I arrived at Girl Scouts of Nassau County, I was overwhelmingly welcomed as an intern for the summer of 2014 from all of the staff. I was instantly charged with a feeling of motivation to work for and learn from a company that instills courage, confidence and character in girls’ lives every day. My nervous feeling subsided soon after, as it was instantly apparent that I was working with a mentor and staff that would introduce the same in me. During my time at Girl Scouts of Nassau County, I learned many important components about what it is to be a professional in Human Resources. I was fortunate to experience a typical day in the non-profit world of Human Resources and was involved in numerous staff meetings. These meetings were a crucial learning experience for me because I was aware of the most up to date news in the organization and was also exposed to many viewpoints from staff members. This improved my performance on a daily basis and expanded my view of teamwork. This is especially necessary in a non-profit company where brainstorming and a collaborative effort is vital in order to raise money. Some of my major responsibilities included but were not limited to, data entry, assisting in the development of the 2014 performance review system, performing background checks, and assisting in the interview and recruitment process. I was also given the opportunity to work in an intimate setting with local Girl Scouts. I interacted with the girls in helping them improve their communication skills. The Girl Scouts of Nassau County hosted a fun, interactive learning experience for Girl Scouts of which I assisted in the production. This was great exposure working one on one with the girls. Acquiring these major components of the Human Resource field and involvement with hands-on volunteer opportunities allowed me to gain a wide variety of knowledge. Having a supportive, helpful and trustworthy mentor throughout my time at Girl Scouts of Nassau County made me feel motivated to contribute my best efforts as an intern. I would consider the time I’ve spent and lessons I’ve learned from my mentor, and the hardworking Girl Scouts of Nassau County staff to be invaluable. I would recommend Girl Scouts of Nassau County as a place to experience an internship to gain a hands-on, real life work experience. 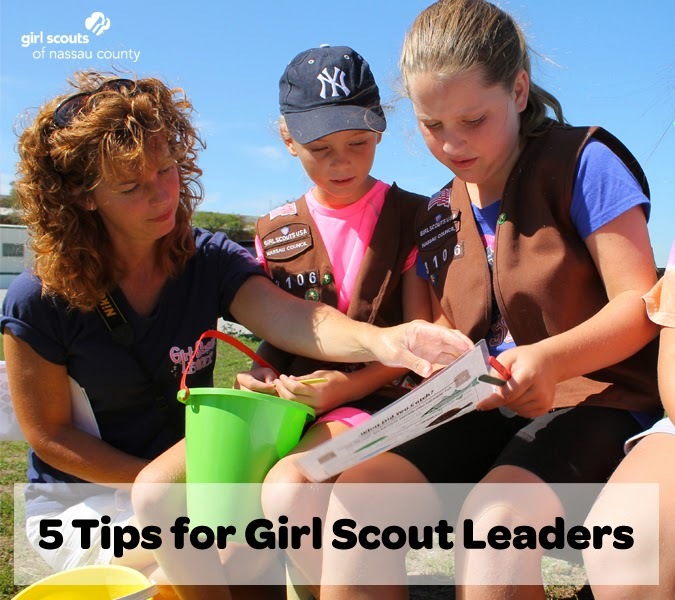 Feeling respected and accomplished from lessons learned, and goals that will be achieved with guidance along the way are things that a prospective intern can look forward to while spending time at Girl Scouts of Nassau County. If you would like to learn more about the internships offered at Girl Scouts of Nassau County or other Volunteer Opportunities with the Girl Scouts of Nassau County, please contact Lorna de Bellegarde at debellegardel@gsnc.org or complete our Volunteer Interest Form. What Can a Troop Do? Senior/Ambassador Troop 836 Volunteered Time with the Navajo Nation! Senior/Ambassador Girl Scout Troop 836 from Rockville Centre had an amazing time volunteering in the Navajo Nation. We spent 7 days in Tuba City, Arizona helping, learning and laughing. We had been planning for a “big” trip for 5 years, but it wasn’t until the beginning of this year that we decided to go to the Navajo Nation. We participated in Mags&Munchies, sold Girl Scout Cookies, ran activity days and hosted a tag sale all to raise money towards our goal. The cost of our trip was $1,381 per girl, so we wanted to raise as much money as possible to off-set the cost of the trip… in the end we ended up earning about $800 from the different money earning opportunities in which we participated. We planned our trip through Amizade Global Service Learning. We volunteered in the St. Jude's Food Bank and Garden in Tuba City where we stocked shelves, repackaged food, pulled weeds, harvested vegetables, transplanted seedlings, and prepared boxes of food for delivery. The director of the food bank said that we did three weeks worth of work in 3 days! That’s the Girl Scout way! This connection at the food bank inspired us to do our Take Action Project for the Sow What Journey in conjunction with St. Jude's Food Bank and Garden in Tuba City. While at the food bank, it was expressed that there is a need for a recipe book and resource guide for their clients… we plan to tackle this project! We also helped at a 6k race. Running is a tradition and a passion for the Navajo people. Not only did we spend time volunteering at Navajo Nation, we also spent time having fun and learning about the history of the reservation. In the late afternoons, we would go see the sites on the reservation and in the evenings listen to speakers who taught us about the Navajo history and culture. The Dine (the Navajo’s name for themselves) are a matriarchal society who value family. While in the Navajo Nation we learned all about their creation story, the Sacred Four Mountains, the Kinaalda Ceremony, the Sweat Lodge Ceremony, the Hogan, the Code Talkers of WWII and the Long Walk to name just a few. We danced and sang Navajo songs. We visited Coal Mine Canyon, Dinosaur Footprints, Monument Valley, Newspaper Rock, Explore Navajo Museum, and the Grand Canyon. On the Fourth of July, we went to a carnival and watched fireworks. On the way back from Tuba City to catch our flight in Phoenix we visited Wapiti and Sunset Crater National Monuments. We stayed on the reservation in a host family home and our guide Melissa and her family went everywhere with us. We met her clan family and they shared their lives with us. There is no way to put into words the impact this trip had on us. We were very sad to leave and have made a vow to return. When we had first planned this trip, we thought a service trip would be a good idea and that it would look good on our college resumes. None of us thought we would enjoy this trip as much as we did. We all completely agree, this trip was a blast and we have made lasting friendships and amazing memories.